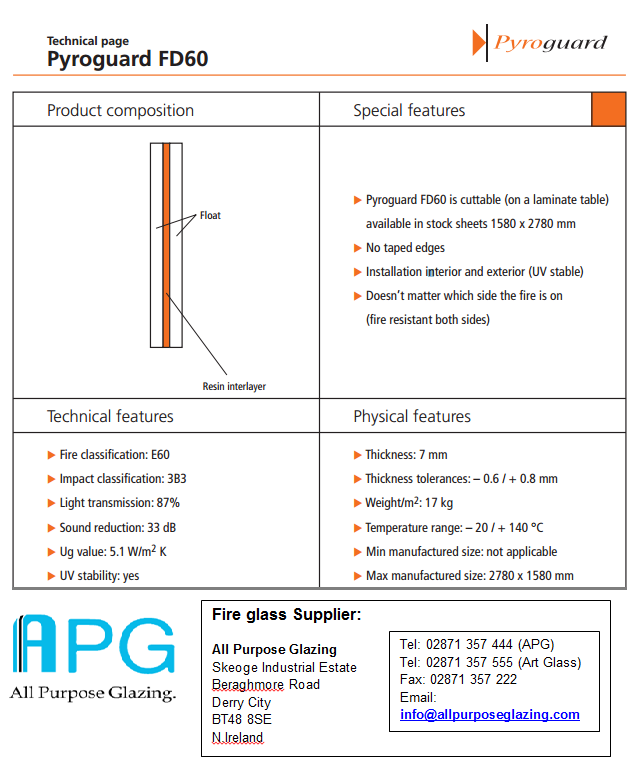 CGI's Pyroguard production is UK’s leading independent manufacturer of fire resistant glass. 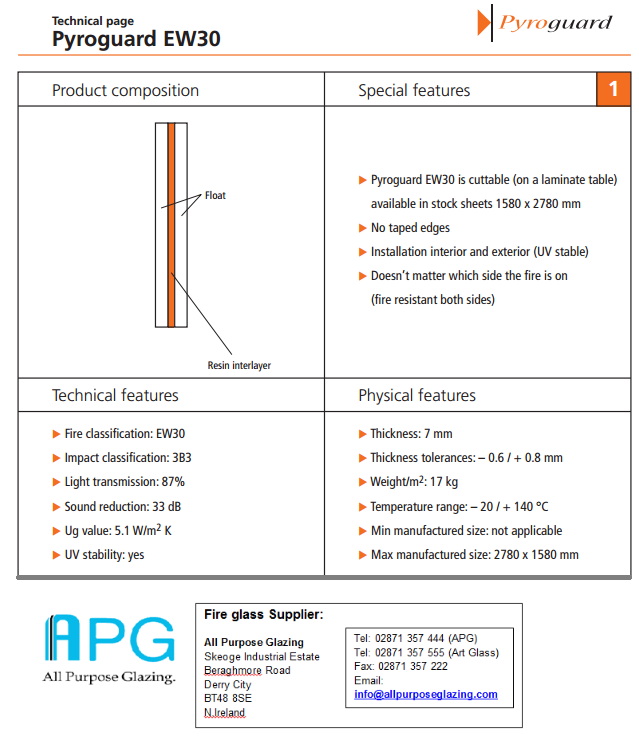 Since 1993 Pyroguard 30 minute has been considered to be the market leader in unwired fire resisting glasses. It has been widely tested in the UK, Europe and throughout the world. 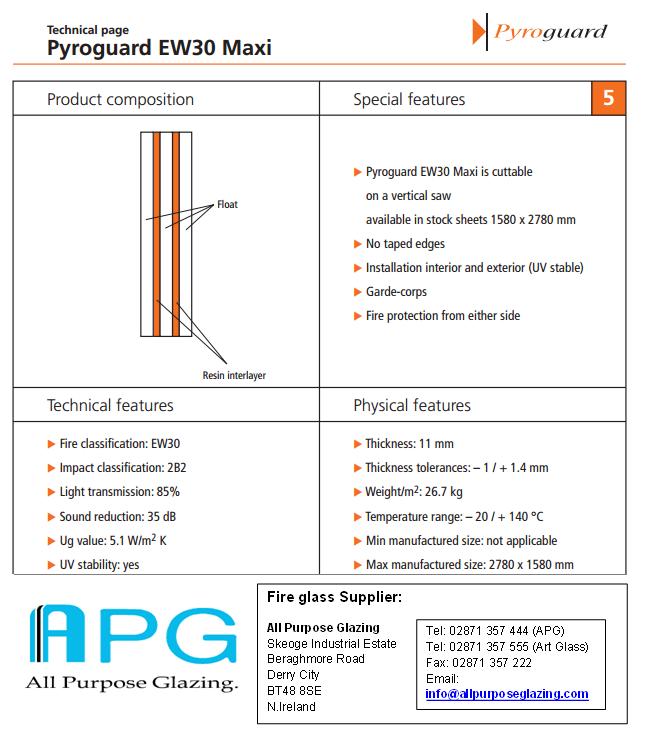 Providing fire integrity of 30 minutes and up to 16 minutes of insulation when glazed in accordance with approved frame specification. 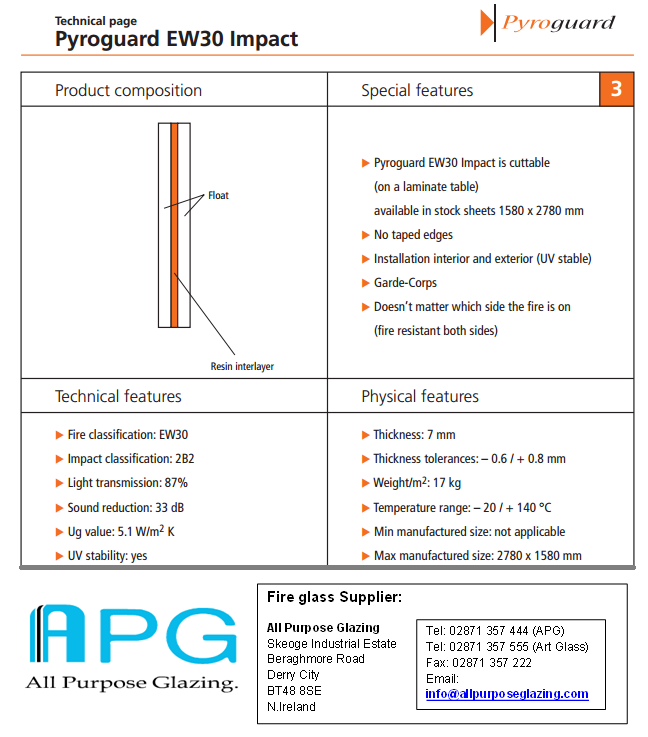 Product Range- Technical Data Sheet. 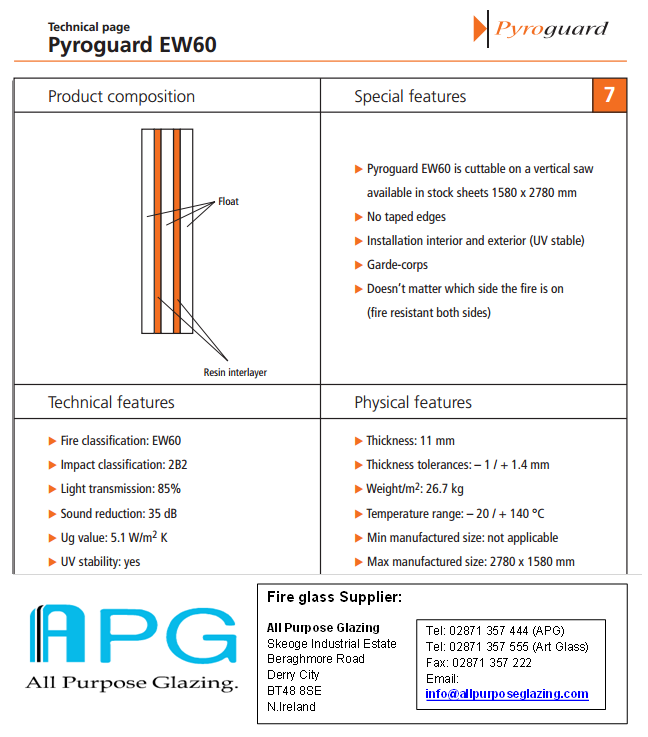 Click here for Pyroguard Technical specification document. With more than 30 years industry experience, we supply specialist glass and components to the construction industries. we pride ourselves on our customer service, technical expertise and a comprehensive product range. Our technical support and advice sets us apart from the rest – we’ll work with you to interpret your specifications, find the right product for the job and secure the best price.